LINCOLN, Neb. 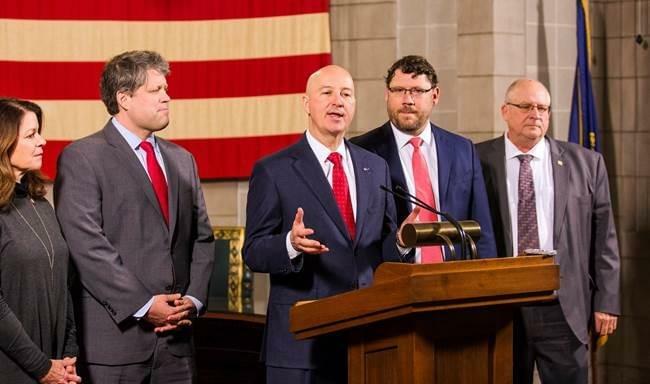 – Governor Pete Ricketts, along with Senator Curt Friesen, Senator Suzanne Geist, Senator Mike Hilgers, Lincoln Mayor Chris Beutler, and Nebraska Department of Transportation Director (NDOT) Kyle Schneweis, announced an expedited construction schedule that will allow the Lincoln South Beltway to be open to traffic by the end of 2022. The Lincoln South Beltway will improve regional connectivity by creating an 11-mile east to west four-lane freeway south of Lincoln, linking Highway 77 and Nebraska Highway 2. It is designed to reduce conflicts between local and through traffic, including heavy truck traffic. This was a release from the office of Governor Pete Ricketts.